Pardon my October. I’ve been busy being American Filipino during Filipino American History Month. And in the moments that remain, I’ve been nervously watching the San Francisco Giants break and unbreak my heart, until they finally decided to win the World Series and give back my life. Perhaps. Only it was even better than that, because it was real glass and the best fairy tale won. The Giants, a team that was practically brain dead in June, was lifted to life in October by Madison Bumgarner. Not “gard-ner,” “gar-ner.” And he’s no bum. He’s the pitcher from North Carolina, infamous for giving his wife a cow for her birthday, but also plays for seven months of the year in the biggest and baddest of Asian American cities, San Francisco, the one with Asian American leaders such as mayor, president of its Board of Supervisors, and a State Senator accused of gun-running (OK, make the last one “former”). 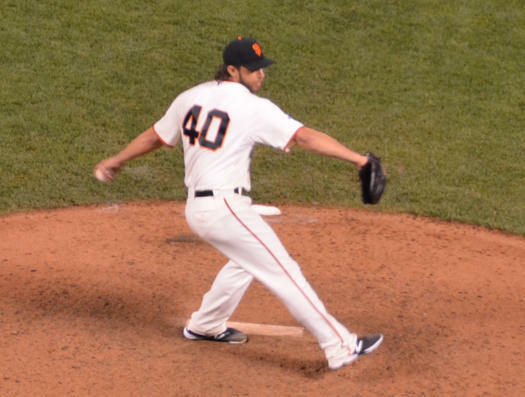 Madbum, as he’s called, delivered a mythic performance–coming off a 117 pitch performance on Sunday (which I witnessed in person)—only to come back to throw another 68 pitches on Wednesday. That just isn’t done. 185 pitches with two days rest? Great enough to stymie the Kansas City Royals and give the San Francisco Giants their third World Championship in five years. That in itself gave the whole post-season some perspective. If you’re going to spend your time “involved” in baseball, it had better include a game that will be remembered for all time. And this Game 7, where Bumgarner comes out of the bullpen to save a 3-2 lead for the Giants and win the series. 4 games to 3, I just don’t know if there will ever be a performance quite like that. Ever. And yet. I know. There are more important things to get excited about. 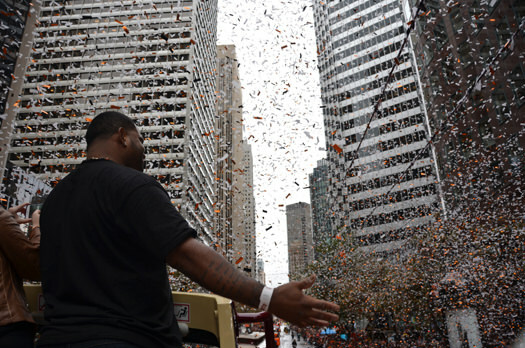 Even after the Giants won, there was a strange violent reaction that spread in the city. It seemed a bit like “Clockwork Orange,” with bonfires, two shootings, and forty arrests, mostly for public drunkenness. This picture was taken from the website Mission Local. People had a lot of steam to let off. Don’t people have more important things to get excited about, like things that are actually important? Why do these people get so whipped up about a bunch of overpaid athletes who have almost no affiliation with the city and are only here because they were offered the most money? It’s such a weird one-way relationship: these pro athletes would leave SF in a second if given more money yet Giants fans act like they are family and get all emotional over the results of their games. Bizarre. I bet he was always the last to get picked for a team in the school yard too. I don’t condone speculation that has led to a housing crisis in San Francisco. Nor do I condone the violent reactions to the Giants’ victory. But there are actually good reasons why sports exist. They are the needed escape that balances our fear of Ebola, bad elections, and Erin Andrews. If we didn’t have sports, we’d need to invent something else to offset the grim importance of everything that’s not Madison Bumgarner. It’s called adding a bit of perspective. Something happened during the Series to remind us of life and death. During Game 5 in San Francisco’s AT&T Park, I noticed a tweet about the death of Oscar Taveras, the gifted 22-year old outfielder for the St. Louis Cardinals who died with his girlfriend in a car accident in the Dominican Republic. Taveras was heralded as one of baseball’s next superstars. During the game, the players all heard the news for the first time through social media. Later, I was struck watching an interview with Giants catcher Buster Posey. He said Taveras’ death should remind us that the games aren’t really important at all. He said the news of Taveras’ passing had brought things back down to earth. And yet we play on, because if we don’t, we can easily give in to the despair. Another life and death moment came when the late Robin Williams was shown up on the big screen rooting on the Giants. At the same time on the field were his three kids. Zak, Williams’ eldest child from his first wife, threw the ceremonial first pitch, while Zelda and Cody, Williams’ two American Filipino kids from his second wife Marcia Garces, watched. It was a celebration of Williams–another reminder of his greatness and how, as his kids threw the first pitch, life goes on. That’s what we choose, and we play on. My own personal life-and-death moment came when the Giants won Game 7. My cousins Bryan and Albert posted pictures of themselves celebrating on Mar ket Street in downtown San Francisco (not in the Mission district) on the Facebook page of our late cousin Stephen. I don’t know if Stephen has internet where he is, but his cousins just wanted to tell him the Giants won and that they missed him. A lot. You’ll recall my cousin Stephen was shot and killed last May when he entered the wrong San Francisco apartment. The family has yet to see a police or coroner’s report. While the case remains open, DA George Gascon has declined to file charges. My family is left with the memories of Stephen, 26, who was buried in his Giants jersey. In life, he had no hits, no runs, no errors. But when the team found out about his story, the Giants put up a tribute to him on the scoreboard, as if he had hit a home run. That’s what baseball and a team like the Giants can mean to individuals in a community where baseball is like a public trust. On Friday, two million of those individuals will be in San Francisco to share their joy for their heroes in a championship victory parade. My friend, the activist, said he won’t be anywhere near the parade. Don’t kid yourself. We all need it more than you think. Besides, black and orange are Halloween colors. Giants colors. As life gets harder with all of its inequality and sadness, diversions–such as baseball–become more important and allow us to keep up the fight for the ones that really matter.